Sooner or later, each owner of a budget car, there is a need to change the covers or chairs. This is because the material of the covers, after a while becomes unusable. The main problem when replacing the covers is dismantling the seats. Wrench, screwdriver, cotton gloves, manual car. Read the user manual for the Hyundai Accent. There is a detailed instruction on how to remove the seat. To start, apply the Parking brake. Open the driver's door. Remove the front seat headrest. To do this, most will push it down. After that grasp hands over the sides of the headrest and pull it up sharply. It needs to be removed with a characteristic clicking. A similar procedure guide, and with the front passenger seat. Rear headrests are removed after release of the latches from the rear side of the backrest. 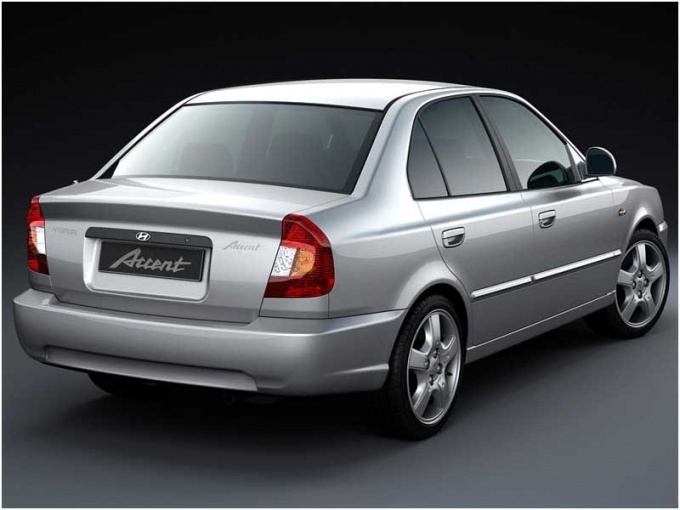 In old versions the Hyundai Accent has a plastic restraints that are fastened with screws. You must remove these screws, then the headrest itself can be easily removed. Fixing seat of the Accent are in a prominent place. If you have dressed up the covers, then fold the bottom. The seat moves on the runners that are attached to the underbody of the car. Press the lever and move the seat to the middle position. Locate the two bolts on each side of the runners. Gently Unscrew them. Don't forget that under the bolts have washers. If they are not, the mounts will get loose. The newer Accents, these washers are plastic, so may need replacement. Now again press the lever and move the seat forward, pull up and forward. It will pop out of the grooves of the runners. Similarly, removed the front passenger seat. You can remove the seat piece by piece - first the back and then the saddle. To remove the backrest, you need to the right to find the bolt and Unscrew it. Press the wheel adjust the position of the back of the chair, which is on the left, and remove it from the slot. Now carefully remove the back of the slots. Rear seat versed in two stages - first the back, then the seat itself. Fasteners of the backrest located on the back side at the corners. They just need to otselot. Next, locate the axes on which leans back. They are located at the junction of the backrest and cushion. There on each side there is on screw. Unscrew them and gently pull back. Its cushion rests on two bolts of the twelfth size and two latches. Peel back the covers of the seat, locate the bolts and gently loosen them with a wrench. Each side is a small lever. Press it and pull the pillow up. Now it could be completely removed.